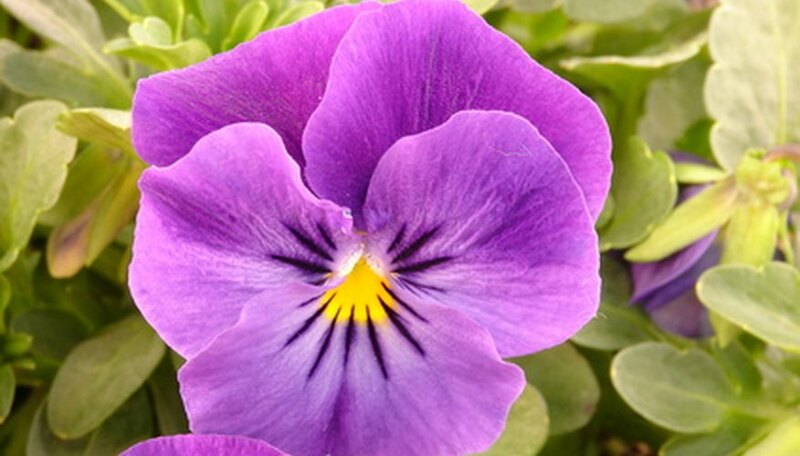 Those Johnny Jump-Up Jubilee flowers (violas) seemed so beautiful when you planted them. Little did you know how quickly they would grow and how far they would spread in your flower garden. If you are facing the problem of controlling Johnny jump-ups, you have several options. Because these invasive perennials spread by self-sowing, keep them contained by carefully removing the blossoms when they fade. Watch the Johnny jump-ups growing in your flower garden carefully throughout the growing season as they begin to bloom in the garden. To control their self-sowing, you must remove the blossoms before they have time to go to seed. Clip off every blossom if you wish your Johnny jump-up patch to dwindle and get smaller. Clip off one-half to three-quarters of the blossoms to control their spread and keep the plant from expanding. Pull plants up from the roots that are growing outside of the boundary in which you wish them to grow. Discard these plants into the garbage immediately. Continue your vigilant monitoring of the Johnny jump-up patch throughout the entire growing season and continue to deadhead spent blossoms and pull plants that grow outside their boundary.